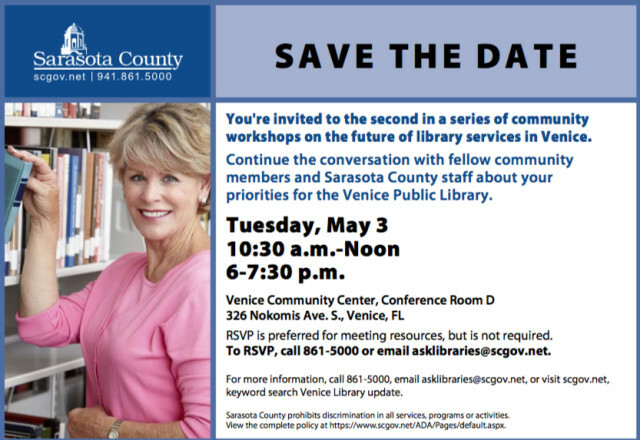 A Sarasota County commissioner who lives in Venice has asked county staff to try to schedule an evening meeting for parents interested in the planning of a new public library in Venice, because many of them work and will be unable to attend a session set for 4 p.m. on May 12 in the Venice High School cafeteria. The May session was scheduled specifically for parents, school staff and students, Kalajian had explained earlier, to give them an opportunity to offer their comments about the design of the new library. The timing from 4 to 5:30 p.m. is convenient for principals, teachers and school staff, Robinson acknowledged, but some accommodation needs to be made for students and working parents who cannot be there. “[The time] was the suggestion of the school staff,” Kalajian replied. 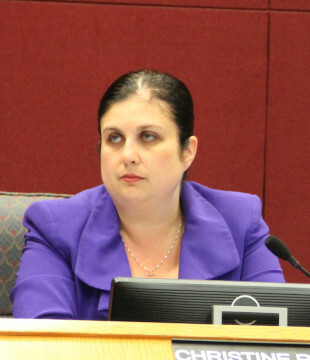 Sarasota County School District representatives also indicated to county staff that after parents pick up their children at the schools, it is difficult to get parents to return for meetings, Kalajian noted. Robinson told Kalajian that parents of students at Venice High, Venice Elementary School and Epiphany Cathedral Catholic School in Venice all had complained to her. “Thank you for the suggestion,” Kalajian responded, referring to the scheduling of an evening session. Kalajian also reminded the board members that the next two community planning workshops for a new Venice Library will be conducted on May 3 at the Venice Community Center. The first will be from 10:30 a.m. to noon; the second, from 6 to 7:30 p.m.
County staff is working with Venice residents and community leaders on suggestions for the design of a new public library to replace the 50-year-old facility the County Commission ordered closed at the end of January because of concerns about the potential negative effects of mold in that building on patrons, staff and volunteers. On April 12, Kalajian also pointed out that the County Commission agreed during its March 30 budget workshop to make a new public library in Venice a top priority for the county’s 2017 fiscal year capital budget. In the meantime, Kalajian said, contractors interested in demolishing the interior of the City of Venice’s Hamilton Building and renovating it for temporary library quarters met at that facility on March 30; bids are due April 15. In a written report to the County Commission, Kalajian pointed out, “The scope of work is being revised to include [alternatives] to address the $250,000 limit” set by the City of Sarasota bid solicitation on which county Procurement Department staff is “piggybacking” its process. On March 8, the Venice City Council — on a split vote — and the County Commission on a 4-1 vote agreed to terms for the county to lease the Hamilton Building for library services until a new facility can be constructed. Kalajian also reported on April 12 that the county had received nine proposals in response to its solicitation for architectural services for the design of the new library. 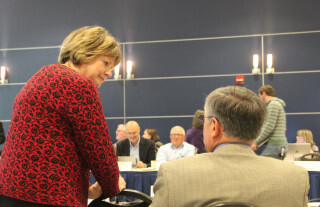 Staff plans to winnow those to a short list, with oral presentations and interviews set in June, Kalajian added. Finally, Kalajian said, staff plans meetings with groups such as the Friends of Gulf Gate Library and the facility’s Teen Advisory Board to ascertain members’ views and gather recommendations. Venice City Councilman Bob Daniels has been working hard to ensure progress on the creation of a parking area under the bridge near the Hamilton Building for library patrons, Hines noted. Last week, during the Sarasota/Manatee Metropolitan Planning Organization (MPO), Hines said, Daniels brought up the matter again, asking representatives of the Florida Department of Transportation (FDOT) when a decision about county and city use of the parking area would be made. 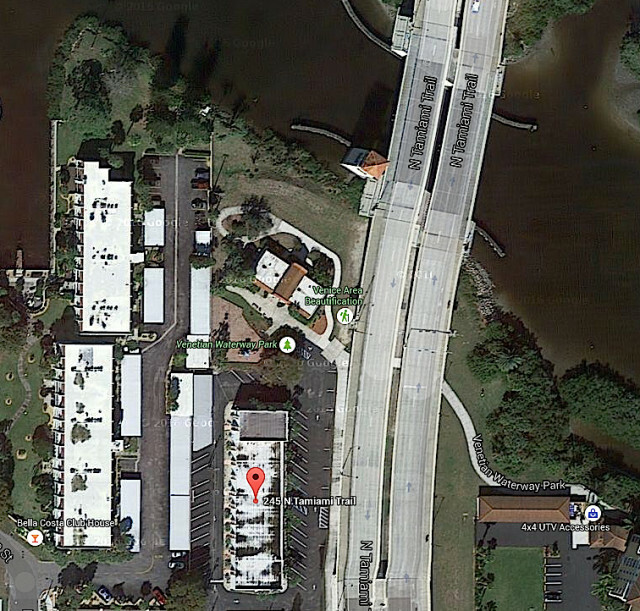 At that time, Hines continued, FDOT staff said the department owns only a minor easement on the property; the decision about parking will be left to the West Coast Inland Navigation District (WCIND), which actually owns the land. 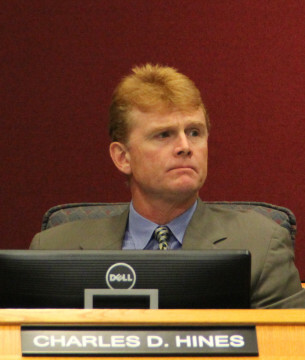 Hines added that he did not know why FDOT staff had not made that clear sooner, because the parking issue had been broached during numerous recent MPO meetings. Kalajian told Hines that parking was part of a discussion among City of Venice and county staff members at a meeting the previous day. During her April 12 presentation, Kalajian also reported that county staff recorded 4,151 visits to its library service area in the Venice Community Center, which will remain in place until the Hamilton Building renovations have been completed. That count was up 24 percent over the figure from February, she pointed out. Further, a shuttle service continues to run twice every Thursday from the Venice Community Center to the Jacaranda Public Library on Woodmere Park Boulevard in Venice. Staff at the latter facility greets the people who arrive by shuttle, Kalajian said, and offer them tours of that county library and assist them with the use of resources there. County staff also continues to provide email updates to approximately 400 people who have signed up for those reports, Kalajian told the board, and new information is posted, as it becomes available on the special page established on the county website.